St. Patrick's day is coming up in two short weeks. To be honest, in the past we haven't been really big on this holiday (there has been more then 1 year where I colored my nails green with a sharpie while at work or school to avoid being pinched because I flat out forgot to wear green). 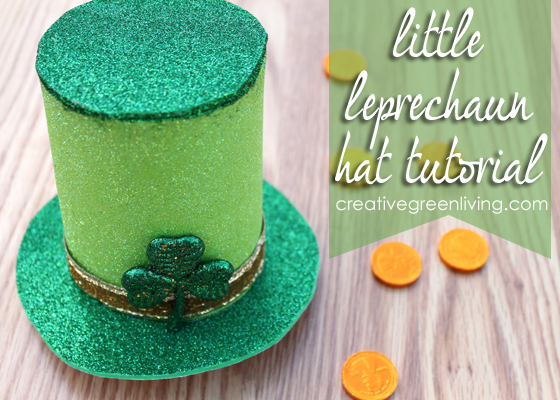 Now that our little leprechaun is big enough to enjoy things like crafts and themes, though, it's super fun to do fun things for kids. 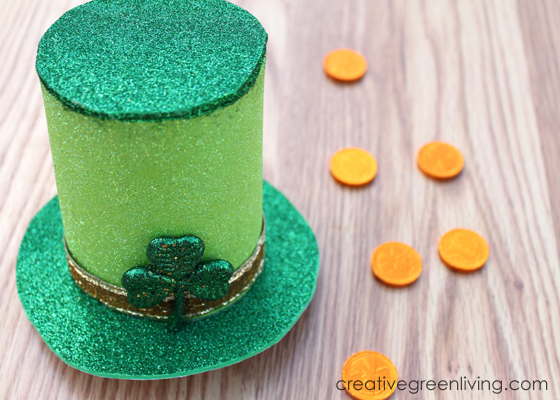 Plus I'm joining a group of some of my craft blogger besties to bring you a St. Patrick's day crafting extravaganza! 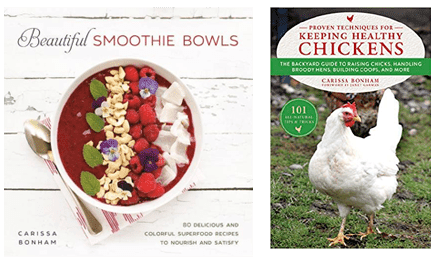 Be sure to check out the bottom of this post to see all their awesome projects (if you're an e-mail or feed reader, you'll need to click through to the post to see them). 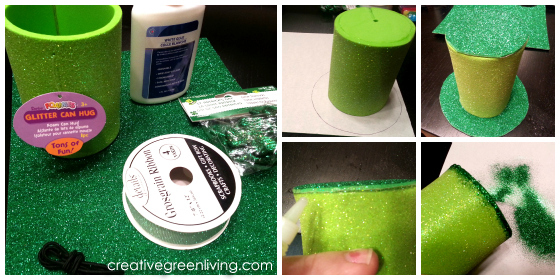 Once you have your supplies gathered, use your can cozy as a guide to draw two circles on the back of your craft foam. The first one should be the same size at the cozy (for the top of the hat) and the other should be larger for the brim. 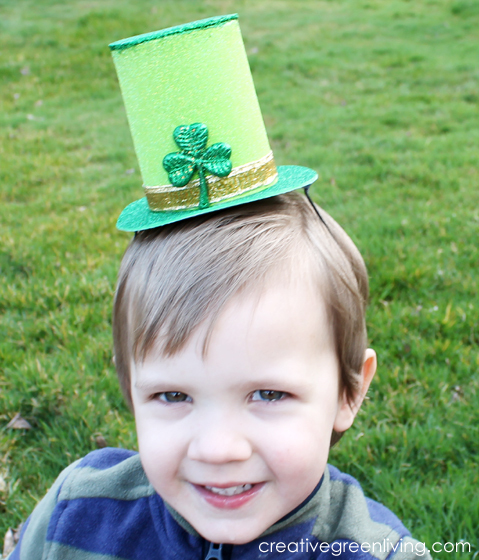 Once you cut out your circles, use the hot glue to glue the small circle to the top of the hat. Add glue around the rim of the cozy and center it on the large circle to glue it down. 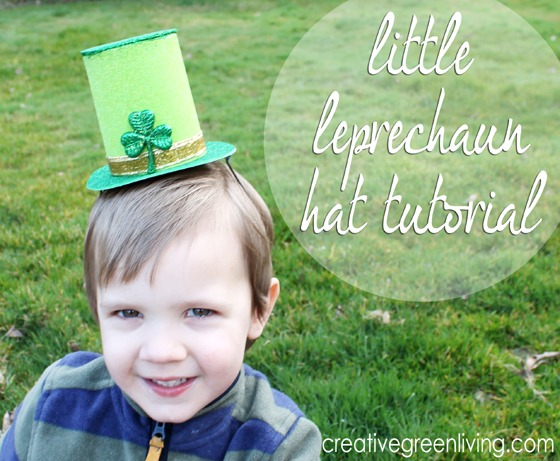 Use your non-hot glue to run a line of glue around the seam on the top of the hat. Douse in glitter and shake off excess. 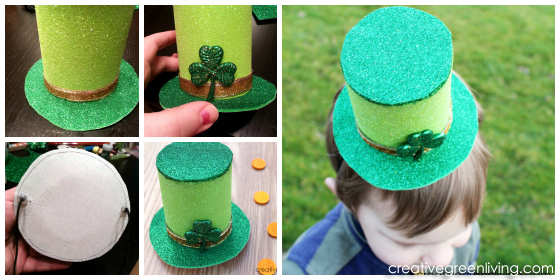 Carefully stand the hat up and use the hot glue to secure a band of ribbon and a shamrock to the hat. Cut the elastic cording to the proper length for the wearer and secure the ends to the underside of the hat with hot glue. Set aside to allow glues to dry before wearing. That's it! Not too shabby if I do say so myself. 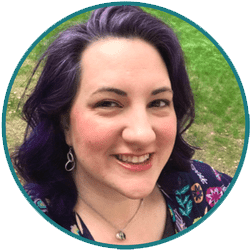 Now I know you're dying to run off and make this adorable hat right this very instant but stick around for a couple minutes and check out what my friends have made, too! ... made out of a drink koozy?! SO CLEVER!! Soooo cute! I can't believe you made it from a koozie. Awesome! !